White Oak Pastures raises American Chinchilla Rabbits that are characteristically large, hardy, and gentle animals with mature bucks weighing 9-11 pounds and does from 10-12 pounds. 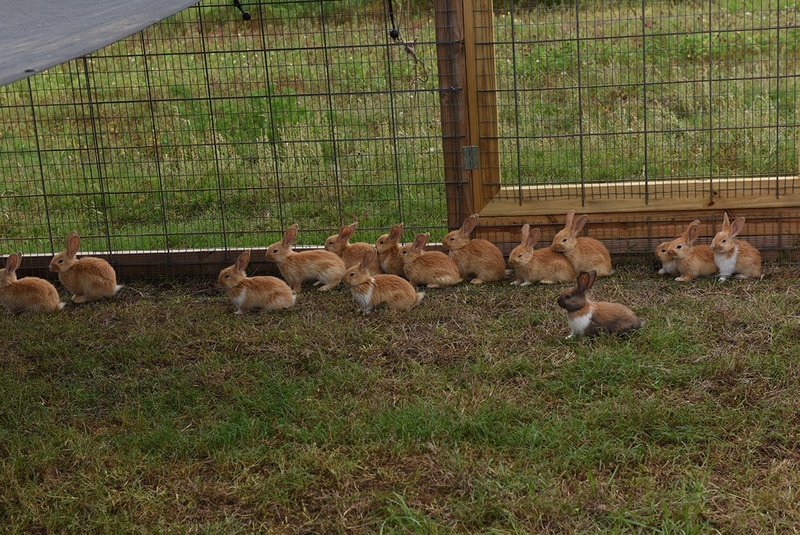 These rabbits produce large litters, have reliable mothering instincts, and reach market weight very quickly. Although our rabbits receive Non-GMO feed, most of their forage comes from fresh grasses and greens from our organic garden. We are currently holding on to our long-eared, buck-toothed colony to build our stock, but don’t worry, we’ll let you know when we’re ready to process them and ship them your way! Will Harris is known for saying, and rightly so, “We take care of our animals, and they take care of us.” A prime example of our rabbits taking care of us is their non-stop supply of the best manure of any other animal. 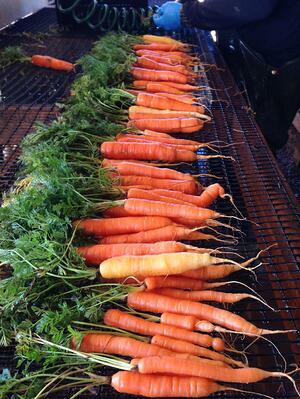 The manure has micro-nutrients and organic matter that improves the soil structure, drainage, and moisture retention. This, in turn, improves the life cycle of the beneficial microorganisms in the soil. One doe and her offspring will produce over one ton of manure in a year. 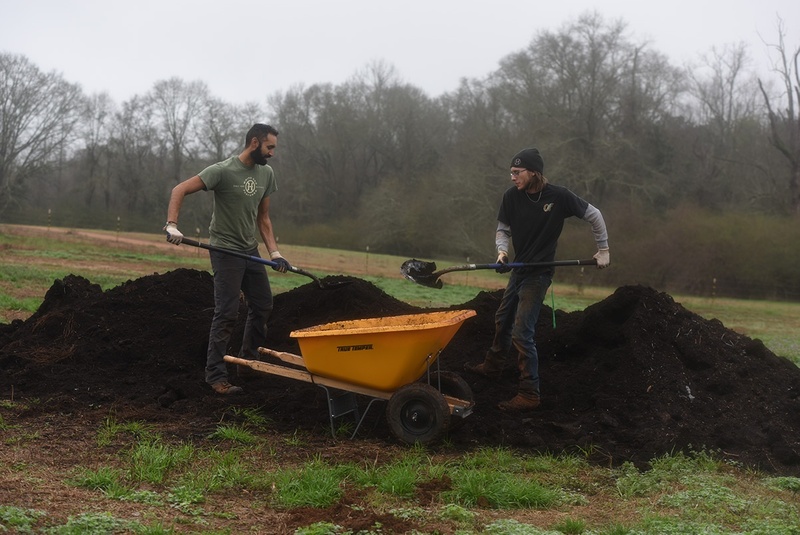 Our Small Ruminants Manager, Jaime Brooks, works closely with our Garden Manager, Bilal Sarwari to devise a planting and harvesting schedule to specifically benefit our rabbits. Overgrown or budded vegetables are fed to our rabbits, which provides them with the nutrients of our organic vegetables and reduces the cost for the Non-GMO feed supplement. Therefore, the organic collards, kale, chard, and cabbage that we offer through our online store and at our General Store in Bluffton, GA are, by far, the most beautiful, wholesome, nutrient-rich vegetables on the market! So drop by the General Store or Dining Pavilion and Food Truck, or visit our online store www.whiteoakpastures.com so that you, too, may enjoy our organic vegetables fresh off the farm!